Wooooooooweeeeee!!! 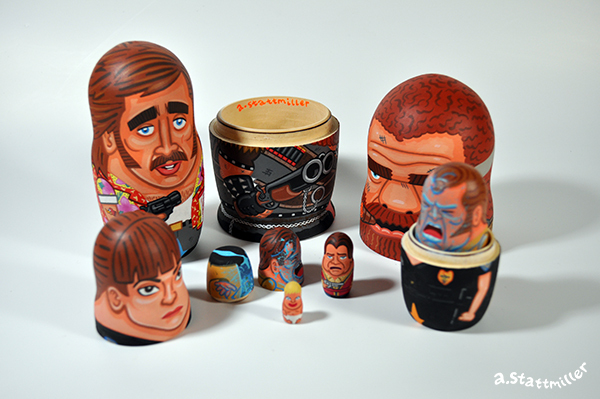 Raising Arizona Nesting Dolls! 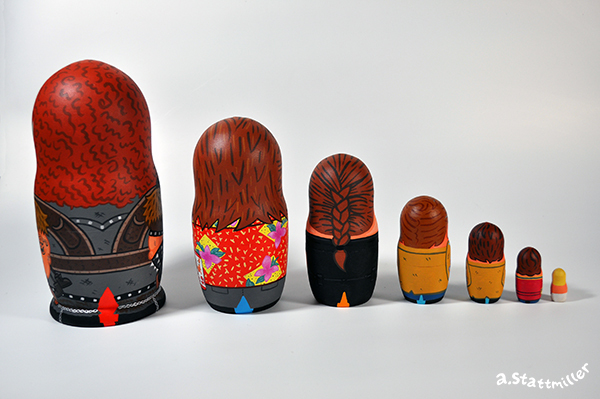 Featuring Leonard Smalls, H.I., Ed, Gale, Evelle, Nathan Arizona and Jr. All hand painted with acrylic on wood dolls. 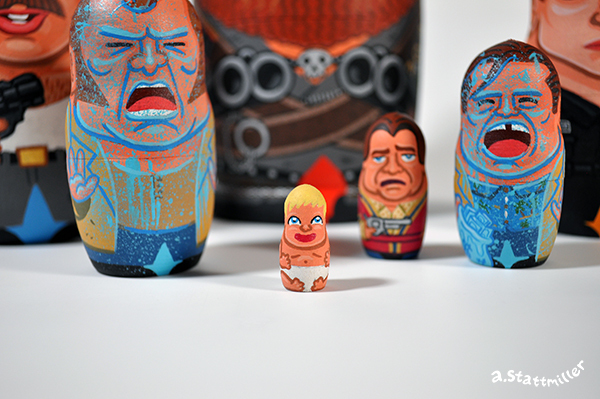 The largest doll is 6" tall and smallest is about 1". 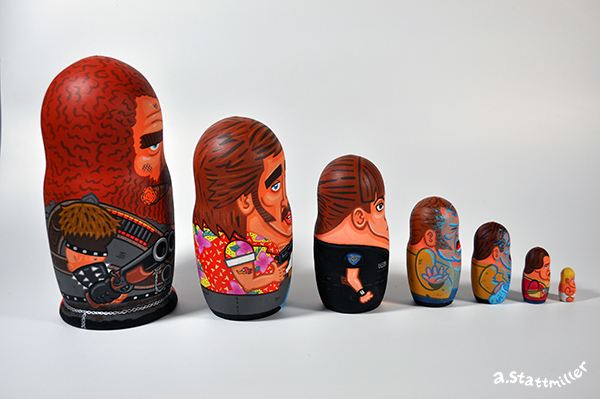 These will be part of "Oh Coen, Where Art Thou", and arts how paying tribute to the Coen Brothers. 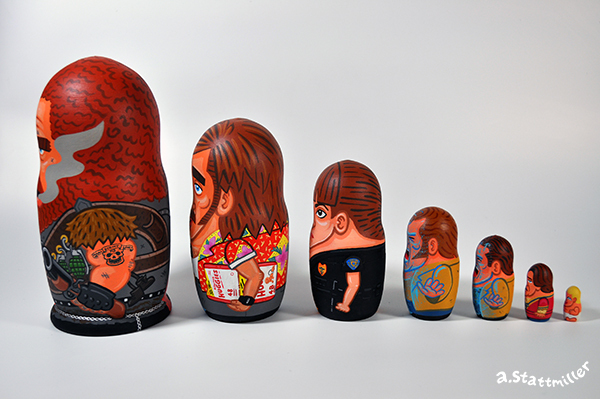 Opening February 3, 2018 at Spoke Art NYC. 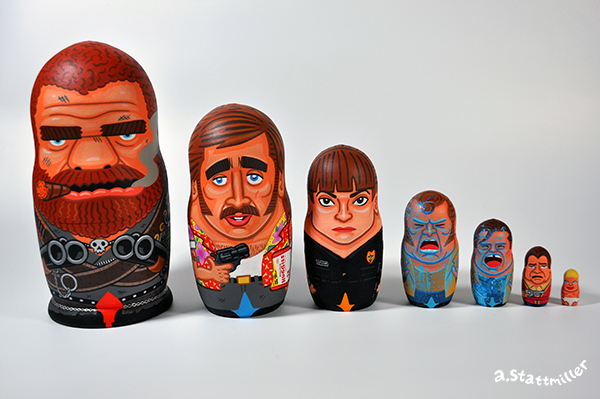 Check them out at spoke-art.com.